Welcome to the False Alarm Reduction Association (FARA) Online Training Web site. FARA has also created a series of presentations on how to reduce false alarms. FARA has created a testing program to qualify successful applicants as Certified Alarm Managers The False Alarm Reduction Association has developed a Professional Certification Program, which provides a mechanism for public safety false alarm reduction professionals to demonstrate that they have attained a certain level of proficiency and expertise in the false alarm reduction arena. This one-of-a-kind Professional Certification requires the successful completion of an intensive exam, which is given under strict rules and guidelines. The site will give you an immediate grade for the Multiple choice and matching sections. The essay section will be submitted and graded within a few days of completion. To prepare for the exam you should review all the publications that FARA has prepared. You can find the publications on the FARA web site. You will learn what types of questions are present on the exam, how much time you have to take each section, and when you will learn if you have passed. You will not be given any advance information on specific exam questions. Information will be provided on how to maintain your certification once you have become a Certified Alarm Manager. All content, specifically questions, answers and diagrams of the certification exams are the proprietary and confidential property of FARA. They may not be copied, photographed, reproduced, modified, published, uploaded, posted, transmitted, or distributed in any way without the express authorization of FARA. 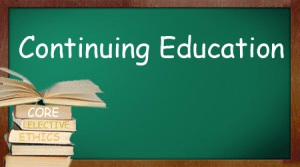 To retain an active FARA Professional Certification designation, each participant must annually obtain one hundred Continuing Education Units (CEUs). Unless the proper number of units are earned and submitted, certifications will become inactive on the anniversary date of when the participant passed the exam following implementation of the renewal program. Listed activities have been pre-approved for credit. Participants may submit additional activities for consideration for credit to the FARA Training and Certification Committee in care of the FARA Executive Director. These requests will be considered on a case by case basis by the Training and Certification Committee. In the event the participant is not satisfied with the decision of the Training and Certification Committee, the participant may make a written request for the FARA Board to review the decision in care of the FARA Executive Director. Decisions of the FARA Board on the appeal are final.